Introducing the World's Most Advanced Dragon Stenomask. Everything else is Obsolete! Question: What is a Stenomask? A stenomask is a small portable Court Reporter microphone that is sound shielded, built into a plastic enclosure that fits over the speaker's mouth or nose and mouth. This allows the user to connect to voice recognition like Dragon & Google to dictate. Buying the right stenomask is not only important for getting a good recording, but vital to your comfort. You use this verbatim mask every day, hour after hour and it needs to fit right. Martel's Dragon stenomasks are molded to fit comfortably in your hand and the mouthpieces were designed to avoid irritation. We have different mouthpieces to fit different peoples facial contours gently but firmly, so little to no sound can escape and the steno-mask. 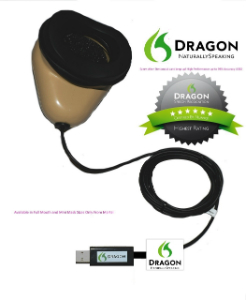 The Double Dragon Voice Recognition USB all Distal Stenomask for Court Reporters, are used by stenographers to report on court room proceedings without being heard. It is the only Steno Mask used by all 3 of the US Military branches. It is an American Made Product. The steno mask has a specially designed microphone inside that allows perfect reproduction of the stenographers voice. It is a private mask allowing the verbatim mask reporter to report on the court proceedings quietly without interrupting others. The Mini Mask remained the Top Verbatim Mask for over 30 years now. The stenographer can plug it into a tape recorder, a digital recorder, a wireless transmitter or a computer. We also make the worlds only Stenomask 4 channel court room recorder the DM246 that replaces the old Sony BM246 conference courtroom recorders. We offer 3 mouth pieces for a perfect fit.